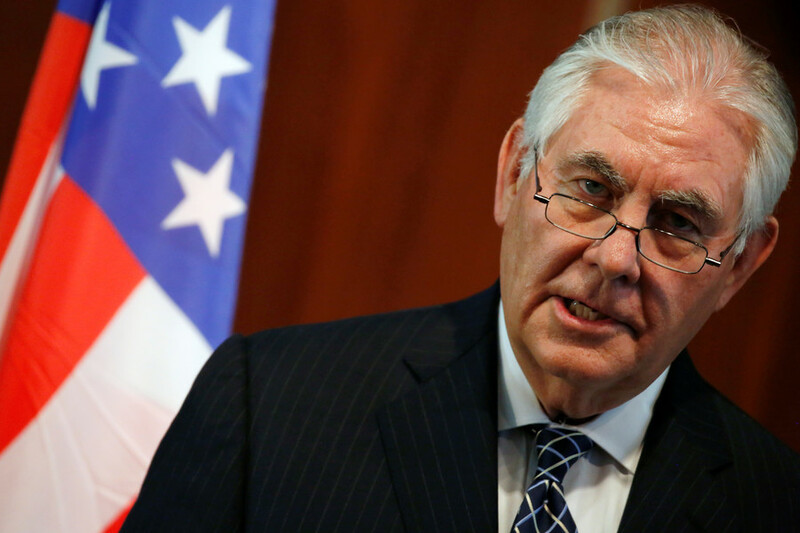 Find news and updates on US politicians, including Rex Tillerson, who is a former American diplomat and former chair and chief executive officer of Exxon. Get the news and articles on Rex Tillerson’s background and career. 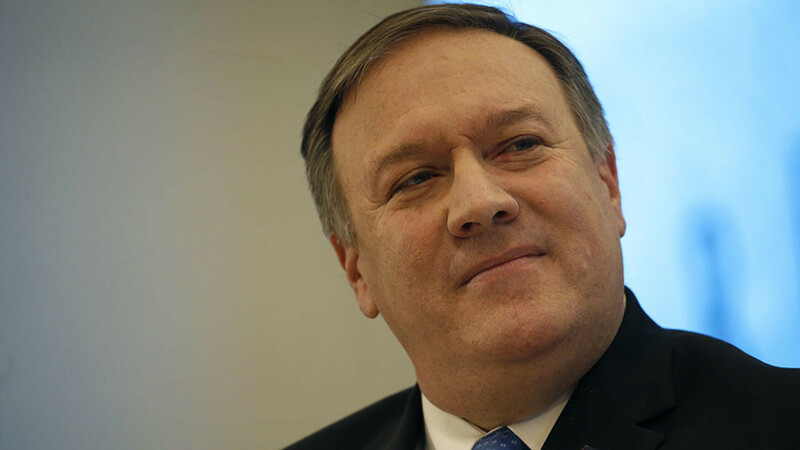 He served as US secretary of state under US President Donald Trump, who fired by him in 2018 and replaced him with Mike Pompeo. Rex Tillerson’s tenure was the shortest in the recent history. Visit RT.com for news about statements and viewpoints of Rex Tillerson, especially while he was serving as secretary of state. Tillerson opposed the sanctions against Russia. 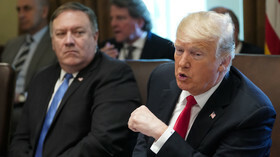 Donald Trump might have his own assessment of Mike Pompeo’s “undiplomatic” remarks about Russia, Moscow has suggested, referring to the president’s recent Twitter rampage aimed at his last secretary of state, Rex Tillerson. 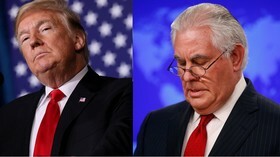 US President Donald Trump lashed out at his first secretary of state, calling Rex Tillerson dumb and lazy after an interview in which Tillerson complained about his time at the State Department. 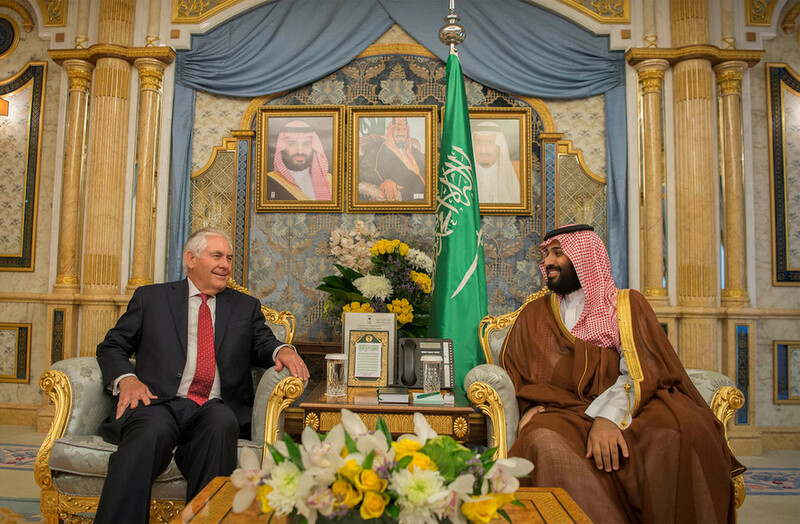 Rex Tillerson derailed a blitzkrieg plan by Saudi Arabia and the UAE to target Qatar and may have been fired as secretary of state for his actions, a report by The Intercept says. State Department Under Secretary Steve Goldstein was fired after he said his boss, US Secretary of State Rex Tillerson, was surprised by President Donald Trump's decision to oust him. He will be replaced by Heather Nauert. As news of the latest Trump administration cull spreads, social media is alight with reactions and speculation. 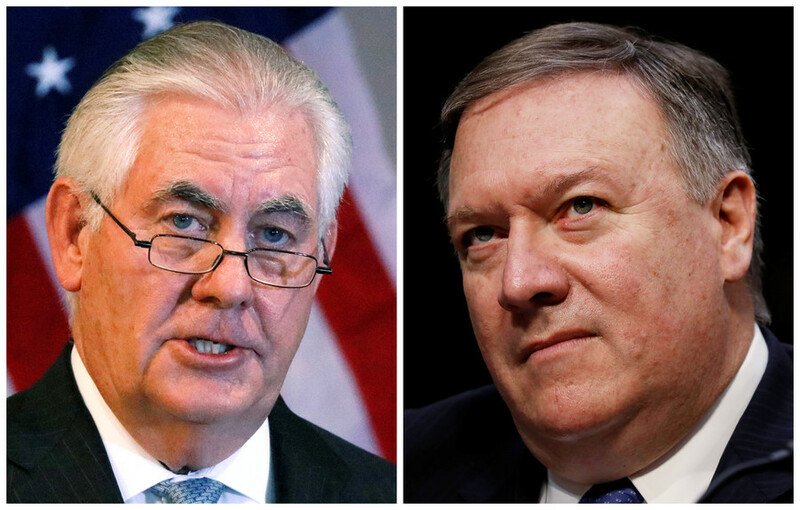 Former CIA Director Mike Pompeo will replace Rex Tillerson as secretary of state, while Gina Haspel will lead the CIA. 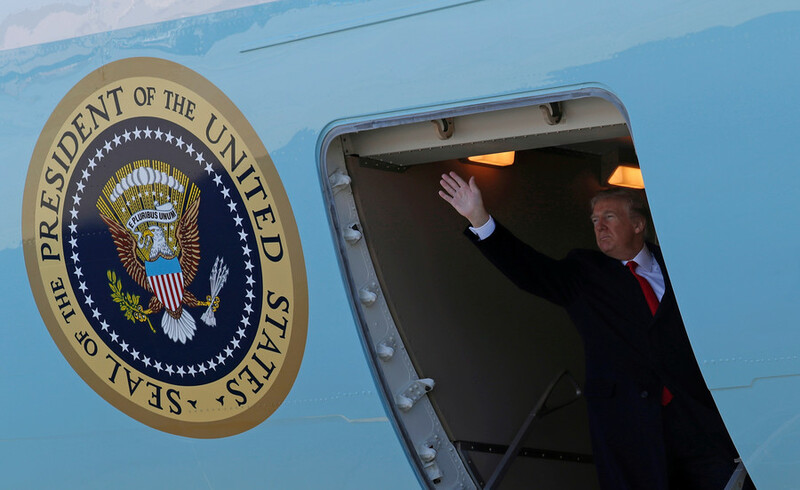 US President Donald Trump has said he had “chemistry" with the CIA Director Mike Pompeo, but didn’t see eye to eye with Rex Tillerson. Pompeo has replaced Tillerson as Secretary of State.